A relocation home loan, sometimes called a bridging loan is used when you need to buy one property before you have sold your current home. So for example your house is on the market, waiting for a keen buyer to snap it up, but it doesn’t quite happen as fast as you’d like. In the meantime, you’ve been checking out the market and there it is, the home you have dreamed about, at the right price and the ideal place. So now what do you do? The good news is that you don’t have to lose any sleep over this, because a relocation loan could come to your rescue, this isn’t a new idea, but thanks to changes in the market and the effects of banking deregulation, these types of mortgages are a much more attractive option than they used to be. In the past, the banks viewed these mortgages as high risk and, consequently, charged very high interest rates to cover those risks. A more competitive market and the introduction of new products have now made the concept a far more viable proposition. A relocation loan is no different to any other loan with respect to fees and charges. It is just like a normal loan with interest only charges until the property is sold and the principal can be repaid in full. 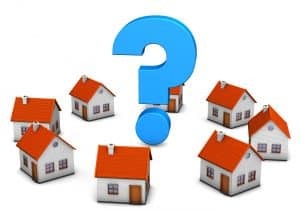 In fact, today there are a number of lenders who will charge the standard variable rate of interest for a relocation loan, so it’s worth checking out all the available options before making a decision. The bank will evaluate the value of the new property, add that to the cost of your current home (outstanding mortgage) and then estimate the likely sale price of your current home. When they’ve done their sums, they will establish the principal of your mortgage, known as the “ongoing balance”. The banks vary in the time they will allow a relocation home loan to continue, but it may be around 6 months to buy an established home, or 12 months if you are building a home. When you sell your home, the proceeds will go to pay off the relocation loan and any remainder becomes part of the new home loan. The rate will revert to the one you might have previously negotiated, or continue at the lenders standard variable rate. Firstly, remember that you are taking on an added financial responsibility – for a period of time you are paying for two loans rather than one. How long can you realistically afford to continue to service them both if there are delays. Secondly, don’t make the classic mistake of over-estimating the value of your current home. If it doesn’t fetch the sum you were hoping for, it will place more stress on your finances. So, be realistic and plan for your estimated costs before you proceed. Also, make sure you know what extra fees are involved – there will be an application fee for the loan and a cost to value the other property. Plus, there’s a mortgage registration fee and stamp duty – about $4 for every $1000 borrowed. A bridging loan is certainly a viable way to help you to buy and sell without having to rush the sale of your current home or compromise on the purchase of the next one. And, thanks to an ever competitive home loan market, relocation loans are more affordable than ever before. If you do your sums carefully before you start, set realistic timeframes and ensure that you are fully conversant with all the potential costs, a relocation home loan might be the perfect home buying solution for you.